Nowadays, evolving models are prime artefacts of model-driven software engineering. 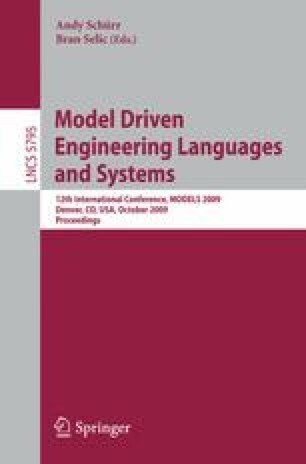 In tool integration scenarios, a multitude of tools and modeling languages are used where complex model transformations need to incrementally synchronize various models residing within different external tools. In the paper, we investigate a novel class of transformations, that are directly triggered by model changes. First, model changes in the source model are recorded incrementally by a change history model. Then a model-to-model transformation is carried out to generate a change model for the target language. Finally, the target change history model is processed (at any time) to incrementally update the target model itself. Moreover, our technique also allows incremental updates in an external model where only the model manipulation interface is under our control (but not the model itself). Our approach is implemented within the VIATRA2 framework, and it builds on live transformations and incremental pattern matching. This work was partially supported by EU projects SENSORIA (IST-3-016004) and SecureChange (ICT-FET-231101).